Financing Available! Call 630-898-1616 for more information. The Nadler Family is celebrating 50 years in the Golf Car Business. In 1963 our parents, Bill & Bea Nadler, began their journey in the golf car industry when Harley-Davidson began manufacturing golf cars. Nadler Harley-Davidson Sales, Inc. was born and was one of the first Golf Car Distributors in the country. As the years passed the Harley-Davidson product line became Columbia Car soon followed by Columbia ParCar. 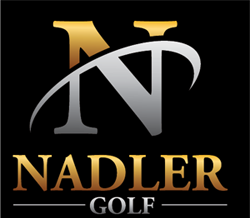 Many changes occurred in 1981 - the second generation, Keith, David and Karen Nadler-Baumgartner purchased the business and renamed it Nadler Golf Car Sales, Inc. That same year, with the guidance of our dad, a decision was made to become a dual line distributor of both Columbia ParCar and Club Car. 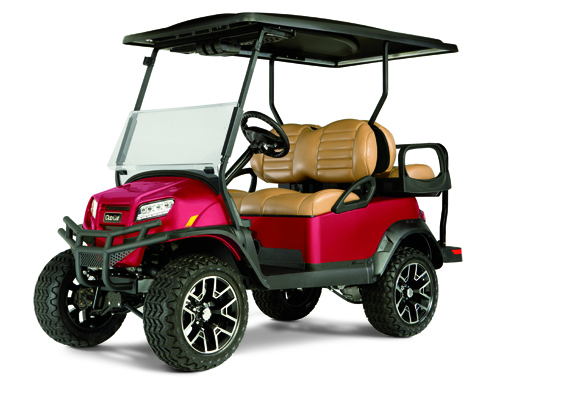 In 1988 we realized Club Car was the Leader in the golf car industry and we became strictly a Club Car Distributor in the Chicago land area as it remains today. Now, it's time for change again... We are happy to announce the third generation is ready to begin their journey! Beginning, January 1st, 2013, Eric Nadler and Matt are excited to continue as the third generation owners and would like to unveil their new company website. We sincerely thank you for your support over the past 50 years. The friendships we have made, the experiences we have enjoyed, would not have been possible without you. David and Karen will continue their employment, as well as guidance, as they continue to help Eric and Matt transition into their new roles. We want to assure you the Nadler Family will continue to provide the best possible products backed by the best possible service in the industry. Our all-new Onward™ PTVs build on the industry-leading innovation seen in our Precedent series to elevate your fun. Build your Onward™ with your favorite premium colors, seats, and other accessories to make it your own. Or, choose one of our legendary Precedents, which continue to inspire industry-wide imitation and earn accolades as the preferred choice for a golf car. Payload. Total vehicle capacity of up to 1,500 lb. Best-in-class EFI powertrain: The vehicle’s 14-hp rated Subaru overhead cam engine with electronic fuel injection improves fuel efficiency as much as 50 percent. It also has a filter-less oil system, an optional limited slip differential for improved traction, and a side fuel tank. Beat that! Improved charging. The industry’s only standard on-board high-efficiency charger with cord retractor. This new system operates on voltages around the globe, and tolerates voltage swings that would shut down lesser chargers. More durable than steel. Carryalls are built on Club Car’s exclusive lightweight, rustproof, air-craft-grade aluminum frame that’s designed to be stronger than steel. Unlike competitive steel frames, it resists corrosion and retains resale value. Fit-to-task utility. A one-of-a-kind bed box with an integrated track-based attachment system, optional tool holders, bed dividers and cargo tie downs increases versatility and saves floor space. So you can do more with less. Improved ergonomics. Cockpit style interiors with restyled hip restraints make the vehicleseasier to enter and exit. And an ergonomic dash puts the key switch, shifter and gauges at the driver’s fingertips. The best warranty in the industry. The industry's longest standard battery, powertrain and bumper to bumper warranty.